Conservative estimates put the population of persons with disabilities in India at 70-100 million. Yet, it is only a minuscule percentage of the population that has been seen in the mainstream of any aspect of life in the country; be it the workforce, education or anything else. Any study undertaken to determine the reason for this would point to one direction and that would be the lack of access. A cursory study of history too would reveal that all great movements arose from the very lack of access to basic facilities, discrimination and the fight for one’s dignity and belief that all humans are equal and born free. The disability rights movement advocates equal access for people with disabilities to social, political, and economic life which includes not only physical access but access to the same tools, services, organisations and facilities which we all pay for. Has come to occupy the most identifiable cause that has unified the global approach towards disability – across social, political and economic lives of people with disabilities. Has become the most fundamental cause that any person with disability identifies with, irrespective of the disability. Has become the fulcrum to the disability rights movement globally. Accessibility not only means access to physical spaces but also means access to information, technology, transport, services, aids and appliances, etc. For example, only 0.05% of printed books are available in accessible formats to people with a print impairment! Only a handful of Indian websites are accessible to people with disabilities! And, most television programming is not accessible to people with hearing impairment in India! These are just a few examples. Though this approach benefits older people and people with disabilities most of the time, Universal Design benefits every human being to some degree at some point of time. Universal Design has attained major ground in the developed nations, but in developing countries like India, this concept is yet to attain popularity. In fact, awareness on Universal Design is close to none and there have been very few attempts to educate architects, designers and others about this. 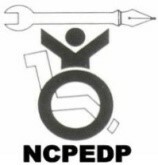 In order to spread awareness on Universal Design and to popularise this concept, NCPEDP, in association with Mphasis, instituted The NCPEDP - Mphasis Universal Design Awards in 2010. These Awards are given away every year to those who have been doing exemplary work towards the cause of accessibility and thus ensuring a life of equality and dignity for people with disabilities. Awards in this category are given to people with disabilities who have created an impact in Accessibility and Universal Design in any of the areas such as built environment, transport infrastructure, service provision, information and communication technology (ICT), universally designed consumer products, mobility & independent living aids, or assistive technology in their personal/professional capacity. The work that the person has done can be in policy framework, grass-root level implementation, design and development, access audits, or even the rights movement/advocacy. Every year, Awards in this category are given out to 3 people across the country. Awards in this category are given to people who work for the cause of Accessibility and Universal Design in any of the areas such as built environment, transport infrastructure, service provision, information and communication technology (ICT), universally designed consumer products, mobility & independent living aids, or assistive technology. She/he may be an employee of an education institute/NGO/corporate/ government body that has taken up the cause, or may be a consultant or freelancer who has devoted her/his time for the cause. Her/his individual contribution to the cause is a major reason for the success achieved by the organisation/firm/movement. She/he may also be an individual who is involved in the cause independent of any organisational support and has achieved significant success in the core objective of gaining accessibility for disabled people. Awards in this category are given out to ensure that many dedicated people who have involved themselves in the cause get due recognition. This will not only help in sensitising the community, but will also encourage young minds to join the cause as a career option. Awards in this category are given to those companies or organisations who have taken up the cause of Accessibility and Universal Design in any of the areas such as built environment, transport infrastructure, service provision, Information and Communication Technology (ICT), universally designed consumer products, mobility & independent living aids, or assistive technology. Companies/organisations that have implemented either/all of these within their organisations, which has led to them recruiting or serving people with disabilities and providing them equal opportunities to participate to the best of their abilities. These companies/organisations can be a role model for the rest of the society, and recognising their efforts and giving them the encouragement will help the cause to reach out to many more. These can be any type of an education institute/NGO/corporate/government body - private sector, public sector, joint sector, SME or even proprietorship/partnership firms. The selection criteria will not only be for adopting accessibility policies, but also for implementing them at the workplace. Every year, Awards in this category are given out to 4 companies/organisations across the country. Access symbolizes the true spirit of freedom as far as persons with disabilities are concerned. These Awards are therefore given away on 14th August, the eve of India’s Independence Day.